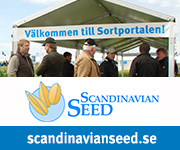 The chief organiser of Borgeby Fältdagar is HIR Skåne AB, an consultancy firm within agriculture and horticulture. 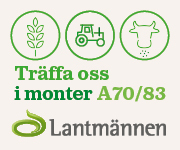 Our business idea is to optimise farm production through providing one-to-one advisory services and acting as a knowledge organisation that develops Swedish agriculture. We thank our co-organisers Hushållningssällskapet Skåne, Lantmännen, LRF Media, Sparbanken Skåne, Väderstad and Yara.